It is impossible to walk through a William David Home without noticing the attentive Craftsmanship that brings about a creatively luxurious lifestyle. Every William David project is custom crafted with Creativity and Originality, bringing every feature you expect in a luxury home, with an impressive creative quality in design at every turn. With a combined 28 Years in Design and Construction, we are continuing to refine and perfect the collaboration process that brings a William David Home to life. We look forward to collaborating with you to Craft Creative Luxury for your next family home! In addition to our work in Crafting Creative Luxury in custom home communities around the Greater Houston area, William David Homes also builds on our clients’ own homesites. From drawings to door knobs, we work with you from start to finish. If you have land and you are looking for the right building partner to make your vision a reality, we look forward to the opportunity to connect. No two homes are the same. We work together to design and build unique spaces. This is your chance to turn a blank slate into something beautiful, meaningful and lasting. We don't take that for granted. Our buildings are not merely houses, but homes lived in and loved in, designed and built around the specific needs of each family. Literally starting from the ground up, it takes an experienced team that cares about the work we put out each day. 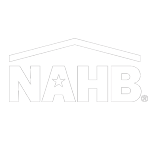 Collectively, we have 60 years in the industry, taking lessons we've learned along the way and applying them to your home build. Those lessons have helped us hone a process that ensures effective communication from the initial meeting to the final walk-through. You can learn more about that process in detail here. Building In The Best Communities. Community is one of the most important things to complete a luxury home. William David partners with some of the best communities in Texas to ensure your family has the greatest opportunities, with all the amenities that come with living in a great community.